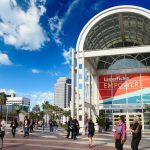 Laserfiche—the leading global provider of enterprise content management (ECM) software—today welcomes more than 3,000 attendees to its Empower 2018 Conference at the Long Beach Convention Center. 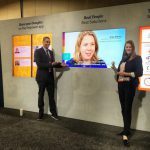 The conference, which takes place Jan. 9-12, brings together IT leaders, resellers and technology experts from around the world to network, learn about the latest trends and innovations, and drive digital transformation in their organizations. Laserfiche Release 10.3: The latest Laserfiche release further supports and enables organizations’ digital ecosystems by giving users the ability to search for and select documents related to a certain location directly on a map using the Laserfiche App. Other new features include enhanced collaboration tools and expanded back-end integration capabilities. Digital Transformation: In 2017, Laserfiche introduced the Digital Transformation Model, a framework for organizations to develop efficient digital workplaces. This year, Laserfiche continues to enable digital transformation and showcase real-life applications of Laserfiche software to make information available, accessible and usable—anywhere, anytime, from any device. Additionally, Laserfiche introduces advancements to its technology including case management capabilities, robotic process automation, and expanded reporting and analytics. Customer Success Stories: Empower 2018 Conference will also feature keynote addresses from Long Beach City Prosecutor Doug Haubert, who helped advance the Long Beach Police Department’s deployment of a Laserfiche solution to suppress gang violence; and Phil Bertolini, Deputy County Executive and CIO of Oakland County, MI, who oversaw the development of unique government technology programs such as the G2G Cloud Solutions Initiative and the G2G Marketplace, and was inducted into the CIO Hall of Fame in 2017. 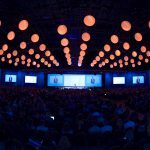 The Laserfiche Empower 2018 Conference features more than 250 sessions which comprise interactive workshops and labs, expert panels, customer-led discussions, and product roadmap and strategy sessions focused on cloud, robotic process automation, security, collaboration, compliance, analytics and more. Attendees will also have the opportunity to interact with the Laserfiche development team, evaluate technology, and collaborate on and influence future product development.